It’s Feathery Friday and we’re off to Eastern Asia to meet a colorful duck! Let’s grab a picnic lunch and head off to watch ducks all afternoon! Mandarin Ducks perch and nest in trees instead of the ground like most ducks. 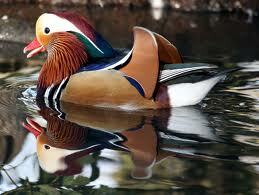 Breeding male Mandarin ducks have some of the most brightly colored plumage of all ducks. 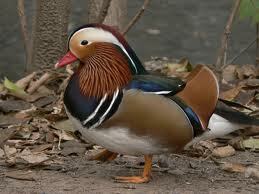 Female Mandarin ducks are brown. They have long broad tails to help them fly. Mandarin ducks have sharp claws to help them rest in trees. Mandarin duck ducklings must jump from the nest when they are very young. 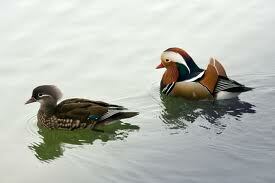 Mandarin ducks are so gorgeous with their bright colors and feathers. We could watch them all day. 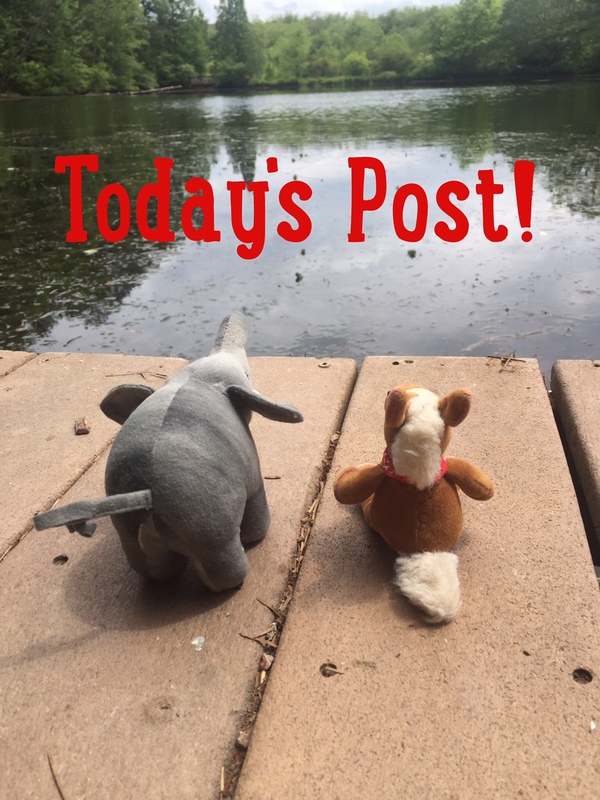 Do you like sitting by a pond and watching ducks? They sure are! 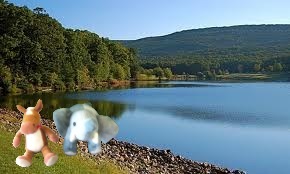 We wish they lived at the pond next to us.